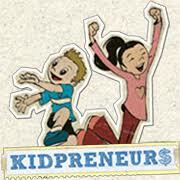 9-year-old Seth is taking a swing at the golf industry - Kidpreneurs - Young Entrepreneurs with Big Ideas! Seth Damsgard isn’t just a talented golfer. 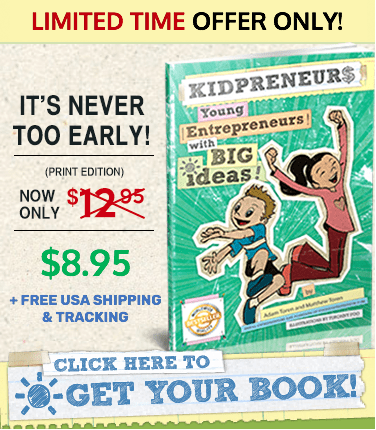 He’s also a clever entrepreneur—and he’s just nine years old. Seth’s company, Golf by Numbers, produces low-cost yardage books for golf courses in several states. 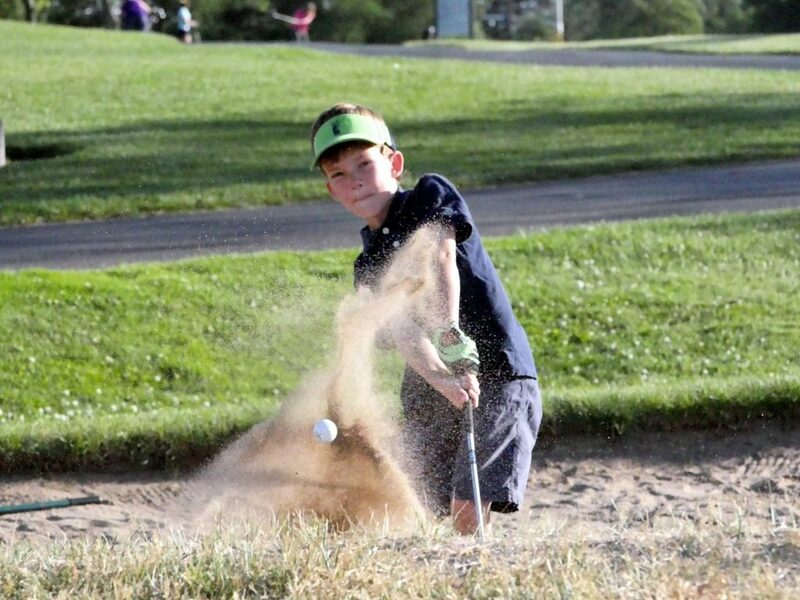 It all started when Seth started golfing for tournaments and with his dad. With makeshift sketches of each hole and its yardage, Seth and his dad would be able to better decide how to play each hole, especially if it included obstacles (like ponds). Seth decided to turn his drawings into a book after seeing players use yardage books at his first 3M Championship in Minnesota. Ever since, fellow golfers on his course started asking him to make them copies—and a business was born. Now, Golf by Numbers sells seven yardage books and fifteen drawings of holes and greens, with many more to come. While laser rangefinders, GPS watches, and smartphone apps may help some golfers better identify yardage on a certain course, Seth says nothing beats the information that a yardage book provides. For good measure, Seth’s books also offer a list of illustrated rules in the back, provided by a best-selling golf author. “When I go to the golf course to measure the yardages and green slopes, my dad talks and jokes with me about all kinds of stuff and drives me around in the golf cart, which is really exciting,” says Seth about his business. “It’s special to me that the whole family can do it together, because I don’t have to do everything by myself. And working at home to do all the drawings makes it nice. We can just go downstairs and do some work whenever we want to.” Seth’s sisters help with Golf by Numbers, so Seth has plenty of time to complete schoolwork and do what he does best: golf. Seth says the biggest challenge in starting Golf by Numbers has been the accounting side of entrepreneurship. “I have to write down everything we spend, everywhere we go, and all the time that I spend working on anything, so that I can get paid by the business. And the rules for sales tax are really complicated. It depends what you are doing, and where you are doing it, and who you are doing business with,” he says. Golf by Numbers (and its founder) may be young, but it’s already working toward some lofty goals. Seth wants to create yardage books for courses that host large tournaments. He recently doubled Golf by Numbers’s products when he was contracted by a 15-year veteran PGA/LPGA caddie, who asked for Seth’s help creating new yardage books. “Maybe there are other opportunities for Golf by Numbers that I don’t know about yet,” Seth hopes. He plans on running his business up until college. For now, Seth is working on winning a Young Entrepreneurs contest on Hatchpad. He needs all of the “likes” and “follows” he can get, so check it out! The philosophy behind the book is simple. The future of our children begins with us! Most people say, “It’s never too late.” The Torens say, “It’s never too early.” The benefits for an early introduction to the basic principles and infinite rewards of entrepreneurship are massive. The Torens have managed to break down otherwise difficult concepts in to fun to read bites that any bright minded child can easily enjoy.